This elegant metal resin giraffe ornament, with its contrasting black and silver dappled pattern, beautifully captures the grace of one of nature's most statuesque animals. Putting a modern twist on the classic African theme, the markings on this metal giraffe are made from a criss-cross of silver metal lines enclosing textured black sections to give an eye-catching finish. 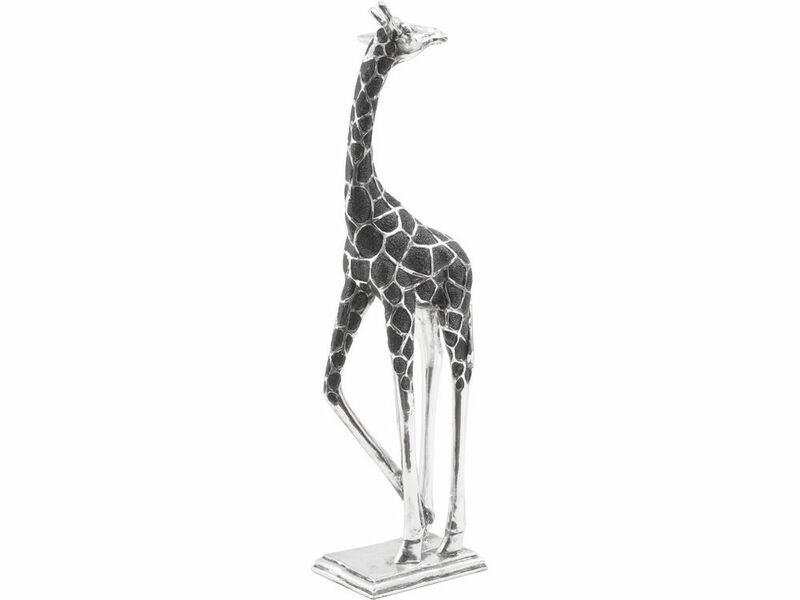 Standing proud on a stepped silver base, this graceful giraffe has its head turned back and will make a stunning room accent, either on its own or as part of a pair with our other silver giraffe in this series.